Dan Greenfield: I like what you’re doing with Superman. What’s been the best part of working on the character so far? You’ve been at it for a while now. Greg Pak: Yeah! I just love the character! You know what I mean? Clark Kent’s one of those characters that as soon as I started writing it just felt right. I’ve had a few characters like that in my career where everything just clicks. Every character I write I end up falling in love with. But there are some characters that just—from the very beginning—I’ll feel like I “get” it! Then that character’s under my skin, I’m under that character’s skin. Bruce Banner — writing Bruce Banner was like that. Adama from Battlestar: Galactica was like that. Writing Clark is like that. 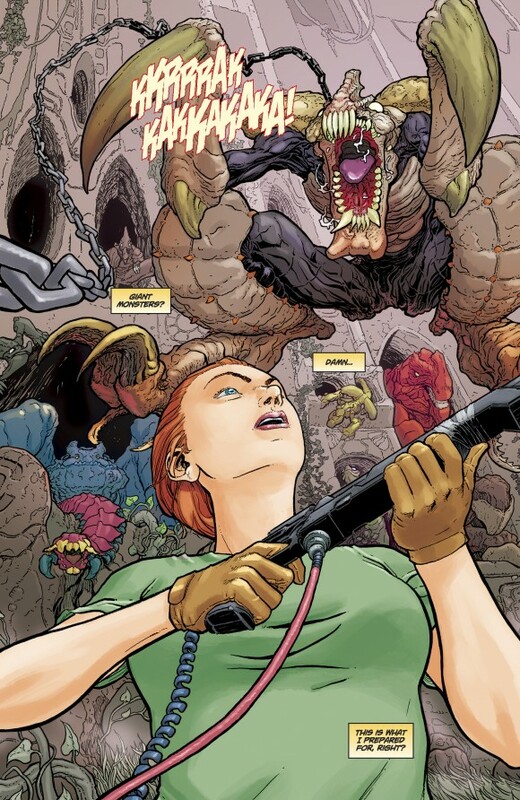 Amadeus Cho’s another character like that. It’s just like I feel like I just know those characters. Anyway, so just writing Clark has always been a blast. I think his struggle to figure out what the right thing to do is and to always try to do the right thing in a world that is ridiculously complex, where the right thing is not necessarily all clear, is totally compelling and makes for great stories. So, yes. That’s been tremendous! Dan: How long do you figure you’re going to be on the book? Do you have an end point in mind as to what story you want to tell? Greg: You know, we’ll see. There is always a temptation to try to stay on a book as long as humanly possible. At the same time, there’s a great argument for making it end at a certain point, so I’ll be done when I’m done. You know what I mean? And hopefully we’ll be able to build to an ending that works thematically and puts it all together. I was lucky to have that kind of ending with my Hulk run, the first Hulk run that I had. And that’s a wonderful thing to be able to do that. At the same time, I love writing the character and am thrilled to have been able to write him for so long. So I’m happy to keep going. Dan: Let me ask about your collaboration with Aaron Kuder. This was kind of his big break in the mainstream and he’s done a wonderful job with the character. You guys seem to be on the same page. Greg: I love working with Aaron. He is a guy who knows storytelling just like nobody’s business. He’s one of those artists who understands every single moment of the strip and brings out those nuances in every moment of every panel. Like, he knows the emotional content of a scene and he brings it out in all the little subtle ways. He knows how to draw huge action, knows how to stage big action, and at the same time he understands all the little emotional nuances and can draw any emotional nuance. Which is hugely important for me because I’m a kind of writer who loves sort of delving into those big emotional moments and also the tiny, little funny things. Like that combination of the huge, high-stakes emotional storyline along with very subtle human moments that are sometimes very funny but not necessarily cartoony, if you know what I mean. And having an artist who can deal with that whole gamut of stuff is just an enormous gift. So at a certain point, we started co-writing. It’s just been a dream. Dan: Now, since the depowering of Superman, as a writer, compared to what you were doing before, the kind of things you’d been used to doing, what other kind of challenges come to you? 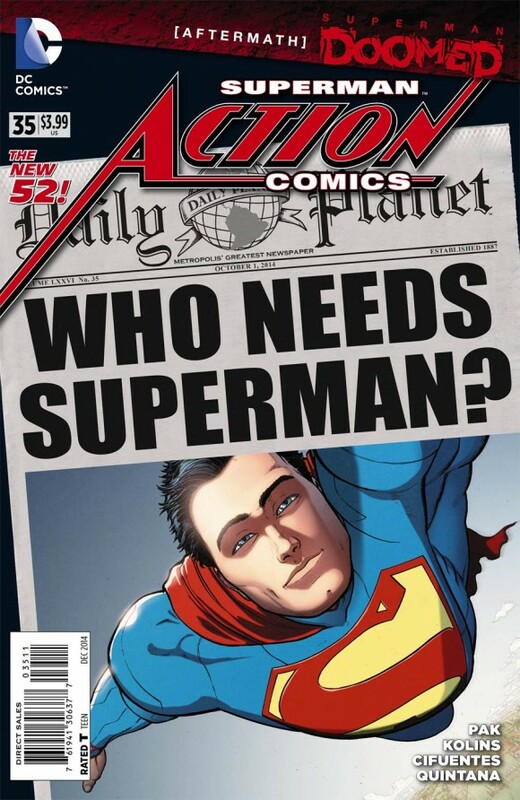 Or does it make it easier to write Superman with him in his current state? Greg: I wouldn’t say it’s harder or easier either way. Every story has it’s own challenges. It’s been a blast! I’ve loved it. Every time I write a story with a character, you wanna take the character to another level, you wanna do something different. And it’s that something different that we’re doing that’s testing the character in a new way. 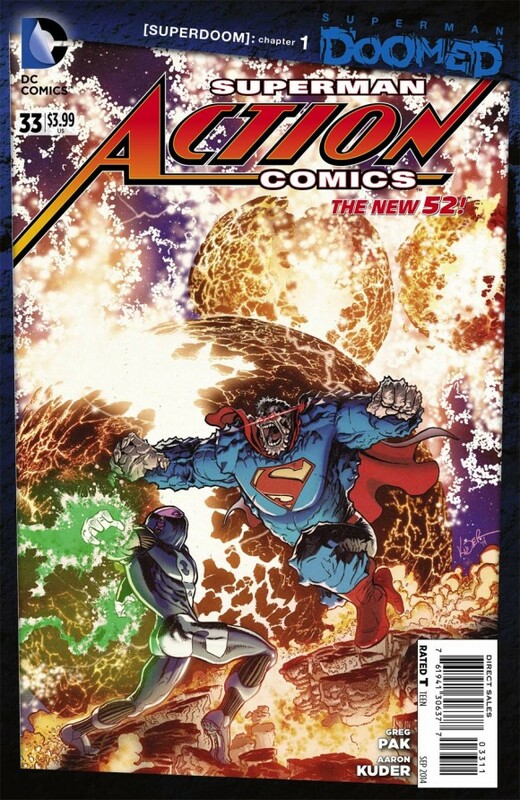 We went the opposite with the Doom storyline we did, the crossover story, where Superman gets infected by the Doomsday virus and it gives him way too much power! And again, he’s struggling how to handle that and do the right thing under those crazy circumstances. It’s the same challenge of testing your character. It’s just finding a fun, new way of doing it. Dan: Tell us a little bit about Lana Lang. You’ve written a bit with her and had a chance to redefine her, in a way, in the new DC Universe because she hadn’t been used for a while. 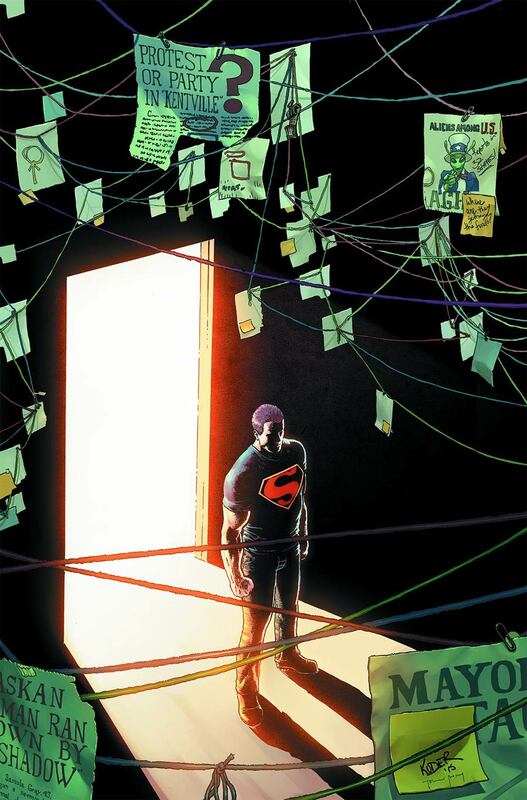 Greg: When Aaron and I came on the book together, Lois was being used in other books but we knew we wanted to have a human-level character who had a relationship with Clark who could be our emotional touchstone. So we thought we’d develop the relationship together and that would be a great fun thing we could do. Lana just came to mind as the perfect person to play with. She was somebody who knew Clark when he was a kid. She’s his oldest friend so she knows him the best but at the same time, she hasn’t been in touch with him so much in recent years so this new Superman/Clark is a new thing to her. She knows the kid, from Smallville. So she knows him better than anybody else but at the same time, she doesn’t know him, and that’s a great dynamic to play with. She can kind of remind Clark of his roots but also serve as a kind of question mark about where he’s going, for both her and him. Their different angles on different moments in the story are really key to see where they differed and where they came together. Also, Lana, we wanted to treat her as a hero in her own right. Somebody who’s gonna grow up with Clark Kent and keep his secret, we felt like she had to have that kind of steel in her herself. She’s a hero in her own right. We gave her a job. We made her an electrical engineer, partly because Aaron, in his civilian life, was an engineer before he started drawing comics full time, and that kind of know-how is great for a superhero book. It means that she can have a big, electrical gun to deal with the subterraneans that they encounter. And we also thought of her as a crusader. She’s somebody who is proactive in the world. As the story begins, she’s working with a company trying to tap into the source of what they think is renewable energy deep underground in Venezuela. So she’s trying to fix the world herself, you know? So that also provided a great complement and contrast to Superman. 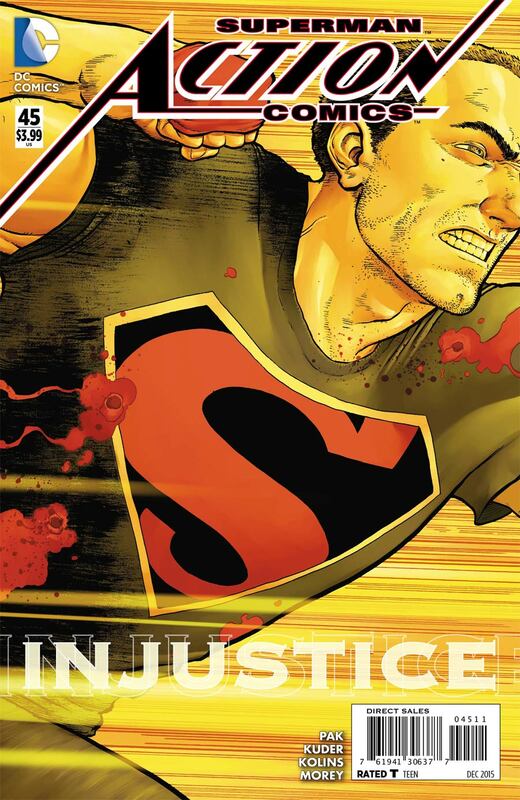 Dan: I personally have had kind of a love/hate relationship with comic-book Superman, going back to childhood. He’s such a rich character but he hasn’t always translated. 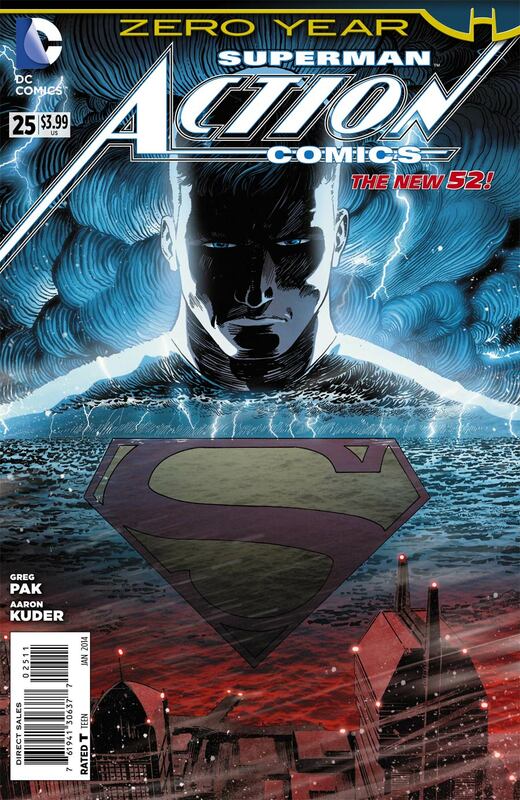 You as a writer…and you as a fan, when you think back, what are some of your favorite Superman stories? 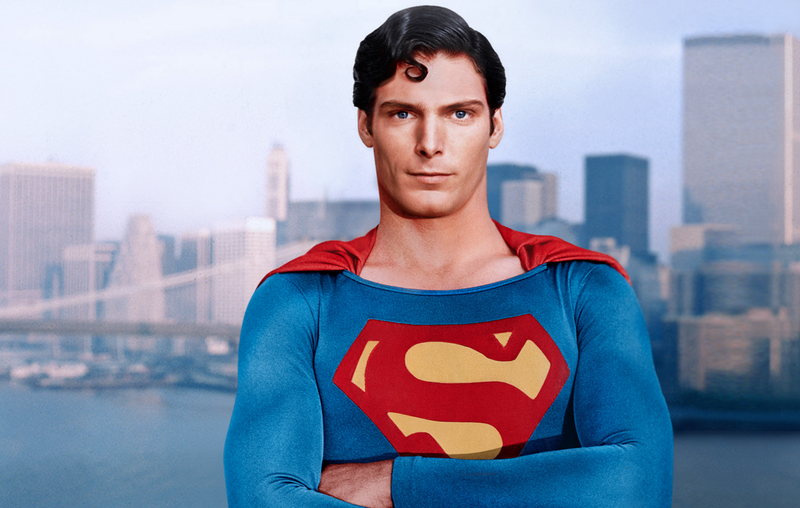 Which Superman—aside from the one that you’re writing (Greg laughs)—have you most identified with? Greg: You know, at different stages of my life, all the different ones. That’s the glory of this character and of all these characters that have survived for decades like this. There is no definitive Superman. There’s no one definitive Batman. Everybody has their own definitive version but that’s unique to individuals because these characters have been around for so long. They’ve been explored from every conceivable angle and every one of those explorations has resonated deeply with different people. Just on a personal level, what I’ve loved is the way the character has meant different things to me at different stages of my life—different incarnations. 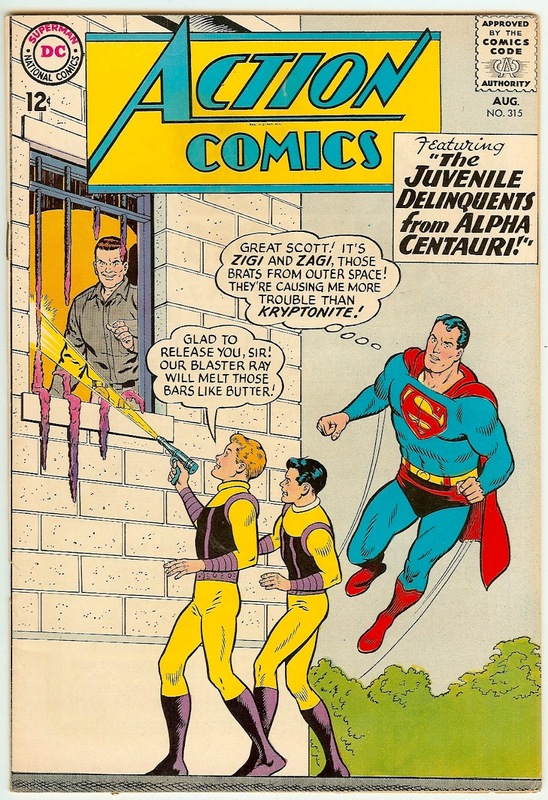 Like, when I was very young I had this big old Superman book and it was just like, crazy Silver Age stories like, “The Juvenile Delinquents From Outer Space.” Which was just ridiculous and it was a ton of fun! It was kind of like “Uncle Superman” dealing with these crazy kids. But, as a kid, that was just a hugely fun adventure story with kind of Uncle Superman, you know what I mean? And it’s a kind of safe story, a safe adventure story, which is not necessarily for everybody but for a kid at that age it was perfect! Years later—or not even that many years later—Christopher Reeve’s Superman made a huge impression on me, absolutely loved that version of the character. Loved his whole, just…moral center. And his performance is just transcendent because he is performing as Clark Kent, and just the way you see him slip in and out of that performance, that’s a conscious thing he’s doing but at the same time, it’s true to him! That whole dynamic is just amazing and it shows what he’s willing to sacrifice. We just enjoy that because it’s funny and it’s fun but on a kind of a deeper level, he is sacrificing so much to do what he thinks needs to be done. It’s classic! 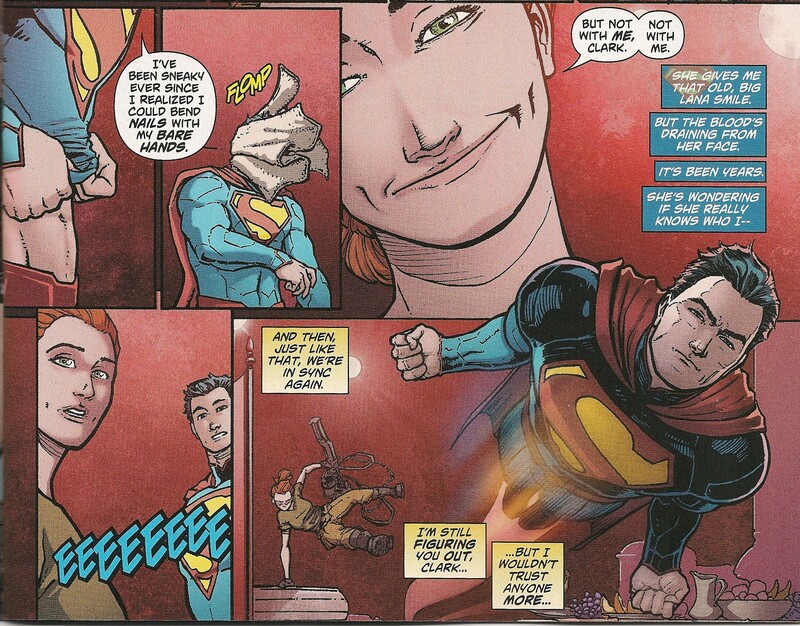 The way he sacrifices himself by kind of playing the dork and getting sort of shrugged at by Lois. She never takes him seriously. That’s a tiny thing but he’s actually giving up a chance to be, you know, who he might wanna be, in order to serve the world. And that’s heroic in its own tiny way. It’s beautiful, you know? Dan: Your face completely lit up as you just described all of that. Greg: All that stuff is just, like (pauses) It’s solid gold comedy, it’s solid gold drama, and it’s solid gold adventure stuff. 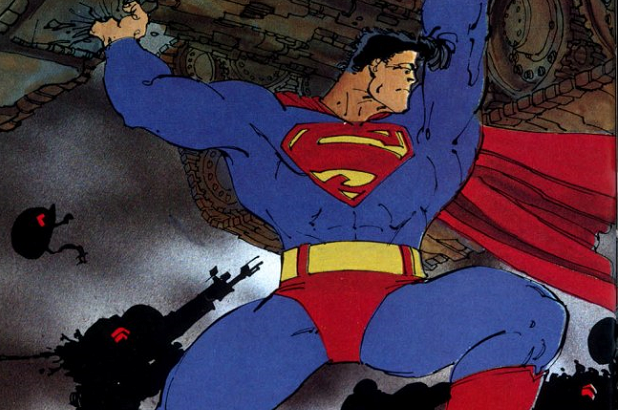 At the same time, a few years later when I read Dark Knight Returns for the first time and you’ve got this Superman who is fighting in Central America on behalf of the United States, he’s like, just become the company man. That’s deeply compelling, too. (We’d) never seen anything like that before, but it’s totally fascinating, you know what I mean? I’ve been drawn into Superman many times from many different angles and now the version of Superman that we have right now is fascinating because he’s a young Superman. He’s not Uncle Superman. Uncle Superman is sort of dramatically inert. Like, he is who he is. Our guy is in transition. He’s becoming who he is. And it’s hugely fun to write a Superman like that, who is always gonna stick up for the underdog. He’s always gonna try to do the right thing. He’s always gonna do the right thing but he’s not necessarily prepared for all the consequences. And that’s the struggle. To see him grapple with all of that and to figure out how to make his way in the world in that kind of a way. Dan: Writing Superman is for a lot of the fans, a lot of the writers, it’s kind of a pinch-me thing to do. What aspect or what incident has been the most transcendent, “Holy crap, I’m writing Superman!” moment? As we worked on those stories and I started working with Aaron…I mean, here’s the thing: As writers, we love it when people love what we do but if we’re honest with ourselves, we know whether what we’re doing is good and we know when it’s not good. We know when we need to do better…and we always do. That’s a beautiful moment and having that moment with Aaron on Action #25, the first issue we came in on, it was, like, “I think we did it. I think this is working.” That kind of experience in doing the story about a young Superman… That one issue is about a very young Superman who is so cocky he thinks he’s gonna go stop a hurricane that’s about to hit Gotham City. That’s what he’s gonna do. He’s gonna frickin’ do that, you know? And he can’t do it. And him grappling with all of that. It just felt right. So that was a big moment for me. I think we’ve tapped into something that feels right. And we’re hugely grateful to everybody who’s bought the book and supported it since then, you know? Getting a chance to write the character and having it resonate with other people, too? That’s tremendous.